Davutoğlu: "‘Point of no return"
With a slight delay of some days of the date planned, the negotiating parts have now reached the second threshold of the peace process’s first phase. It has been about silencing the guns first, which has been done. Ever since the end of December, when the Justice and Development Party (AKP) rolled up its sleeves, together with Abdullah Öcalan, the imprisoned leader of the Kurdistan Workers’ Party (PKK), there have not been any skirmishes between the army and rebel units — only a few incidents, which have not caused any disruption. Mothers of the fighters, in both camps, have been able to sleep better at night, to paraphrase a source of the state. The declaration of the PKK “command” in the Kandil Mountains of the Iraqi Kurdistan region for the withdrawal of its armed units has been in the making for some time. With it, the second stage will be “official.” By mid-September the initial agreement between Öcalan and the National Intelligence Organization (MİT) will have been completed, to make the ground ripe for a farewell to arms. As I have written constantly, there was no doubt about the seriousness on the process. Every step taken is making it more irreversible. 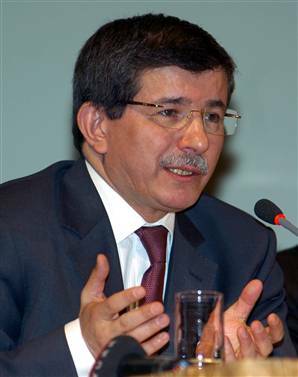 Ahmet Davutoğlu, Turkey’s foreign minister, was even more dramatic in his description the other day. ‘“It is like trying to swim across a river flowing wild,” he told a colleague. If so, one can assuage the doubts on Ankara a little more. The PKK pullout is necessary for building confidence, but hereafter the serious business will begin. The ground for peace is now fertile. As the PKK rebels leave their weapons behind, in secret locations, they will also show a symbolic distancing from violence. But, these days many Kurds ask suspiciously, will it end the problems? The burial of weapons is certainly not the final solution. It will not end Turkey’s Kurdish problem. Therefore, the second phase, which is now expected to begin immediately, namely the political reform, will be the AKP’s crucial test, if it really means business for massive democratization that has long been overdue here. In an interview with the Vatan daily, Duran Kalkan, a key figure of the PKK, underlines very clearly the fragile part of the process. “The Kurdish problem is both very easy and very difficult. What is required is a pluralistic mentality” he concluded. Headway being made is vital, encouraging. There are now further hurdles. Kalkan points to Iran as a highly likely potential source of sabotage. My eyes are on the heavily armed village guards. But the most important issue between Ankara and the PKK is, you guessed it, much more mutual trust. It means less time for words and full focus on deeds — on reform.